According to reports from the Daily Mail, Manchester United still have not been able to figure out what caused Michael Carrick’s mystery illness. Michael Carrick was handed a new contract by Manchester United over the summer and it seemed like the veteran midfielder would be playing a role under Jose Mourinho during the current Premier League campaign. As it has turned out though, Carrick has featured only once so far this season – during the Carabao Cup clash against Burton Albion back in September and the midfielder has not been seen at all after complaining that he felt sick and dizzy following the match. 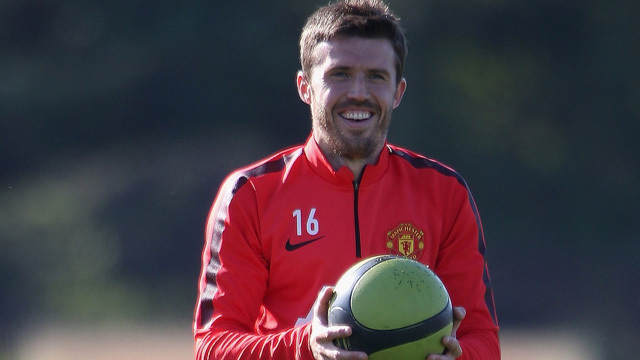 Carrick has experienced similar symptoms in training since and according to reports from the Daily Mail, the Manchester United medical team have not yet been able to figure out as to what caused the 36-year-old to suffer from such a condition. Nonetheless, Carrick is now expected to return to full training soon and his recovery will surely be a huge boost for Mourinho as the Portuguese manager is currently short on options at the middle of the park due to injuries to Paul Pogba and Marouane Fellaini.